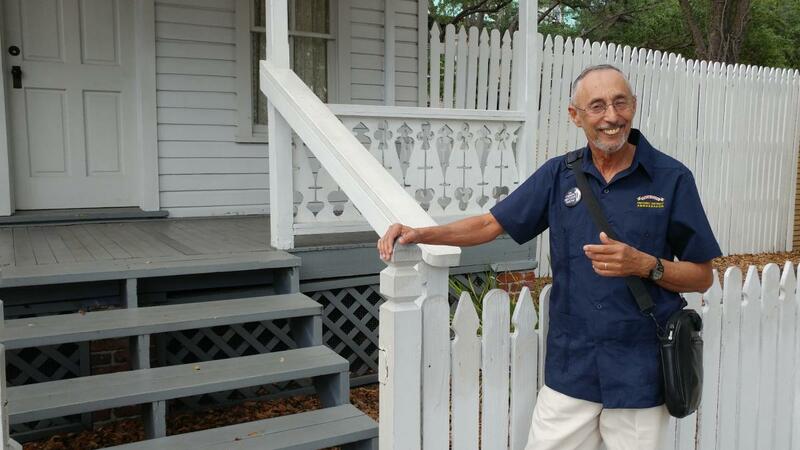 Take a walking tour of historic Ybor City with Wally Reyes, Ph.D., and you are walking with the man who wrote the book -- several of them, actually -- on Tampa Bay&apos;s iconic Latin Quarter. This cigar factory owner is also one of four grand master cigar rollers in the world (his wife is another). On two separate occasions, he led teams that built the Guinness World Record-holding world&apos;s longest cigar. You can see a 3-foot piece of the most recent on at the Ybor City Museum State Park, where Wally launches his walking tours. After five decades in Tampa Bay, he also knows a thing or two about the industry that turned Tampa Bay from a sleepy Southern city to an immigrant magnet and economic powerhouse at the turn of the 20th Century. Today, Ybor City is an eclectic blend of past, present, and future -- with carefully preserved historic buildings that house cigar shops, nightclubs, trendy restaurants and tech startups. Wally Reyes can guide you through it all -- just remember to bring a comfy pair of shoes. I was born in Puerto Rico, 63 years ago. I have been living in the Tampa for the past 53 years. Who&apos;s your hero and why? My hero is my father. He was a good example to follow. What do you do for fun or a hobby? I enjoy working in my antique car, woodworking and working in my yard. I&apos;m semi-retired, but since 2011, I do VIP walking or bus tours in Tampa. I also work as an Ybor City Ambassador. All my jobs are related to promote the heritage of Ybor City and Tampa area. What do you like about it the job? It&apos;s a good opportunity to meet people from all over the world and promote our area. What&apos;s something people don&apos;t know about it? Many people don&apos;t know the importance of the area in many international issues around the world. And the importance in the development of the Tampa of today, as well as central Florida. What&apos;s the funniest thing that has happened to you on the job? There&apos;s not much to tell, but it is interesting that the visitors sometimes know more than the locals. What do you recommend your visitors do for fun when they comes to Tampa? I recommend they visit the different museums, historical places, and enjoy the night life.